Each winter, as snow piles higher and ice hardens in the cold, Minneapolis fights a battle against people who just don't shovel. City code requires residents to keep sidewalks clear of snow and ice. But the process of enforcing that rule is anything but simple in a city of more than 400,000 people. The city of Minneapolis issued 741 fines for failure to shovel sidewalks last winter at a cost of more than $130,000 to Minneapolis property owners, according to city records. Some complaints are triggered by a neighbor's call to the city's 311 line. Or an inspector checking on chipped paint on a nearby home could note that the walk in front of an apartment building is coated in ice, said Mike Kennedy, director of transportation, maintenance and repair for the Department of Public Works. 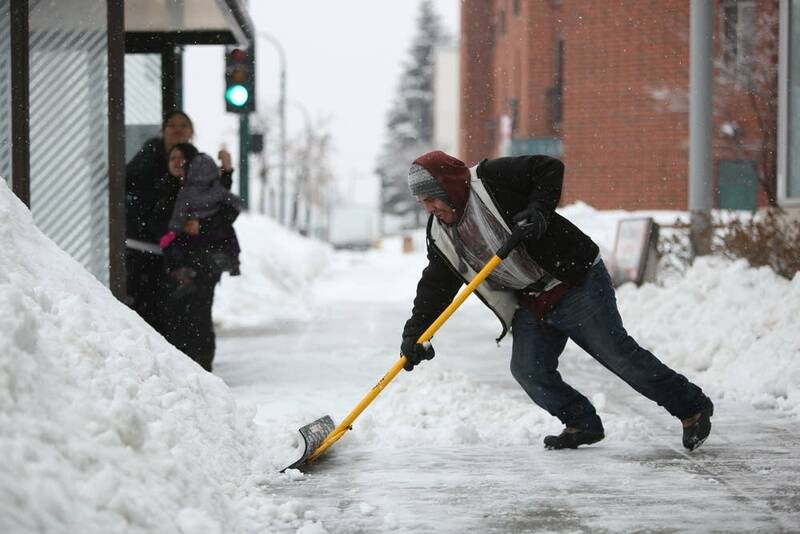 People who don't shovel get a warning, and if inspectors come three days later and see the same mess, the city will issue a work order and a crew will shovel. The property owner is billed for the cost of their time plus an administrative fee. Fines issued last winter ranged from $31.50 for a house on a corner lot in south Minneapolis to $745.80 for the sidewalk outside Popeye's Louisiana Kitchen in north Minneapolis. 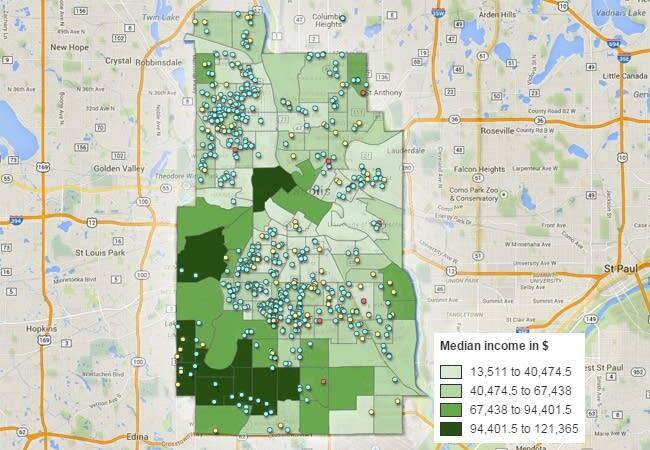 An MPR News analysis of fines shows that most citations are given out to property owners in poorer neighborhoods. Kennedy said enforcement is largely a complaint-driven process, "so the people who are calling, that's where we're going." Unless fined property owners decide to challenge the fine, they can pay outright or the fees will be added to property taxes. 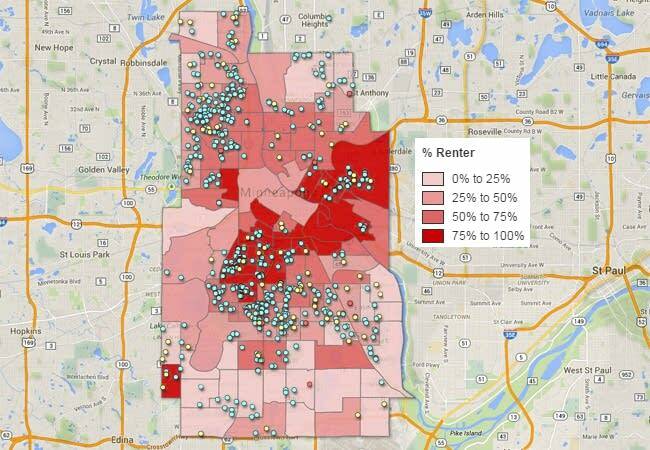 Only a handful of property owners challenged the fines at a Minneapolis City Council committee meeting last month. Many told stories that showed how complicated the process can be for homeowners and city workers. For example, the city received a complaint about a house on the 5500 block of Fremont Avenue south on Feb. 2, 2014. The residence was inspected eight days later and found to be poorly shoveled. A letter was sent, but an inspector couldn't return until Feb. 25. Then, it was still poorly cleared and a work order was issued. Busy work crews couldn't make it out to actually clear the snow and ice until March 11. The homeowner was charged $181.50. Kennedy said work crews are occupied with other business that is more important to city functions. "We'd rather not have to shovel a single sidewalk," Kennedy said. "We'd much rather the public comply with the rules because there's plenty of other work for us to do too." The city is hoping to expand a pilot program in which private contractors are hired to clear snow at fined properties. 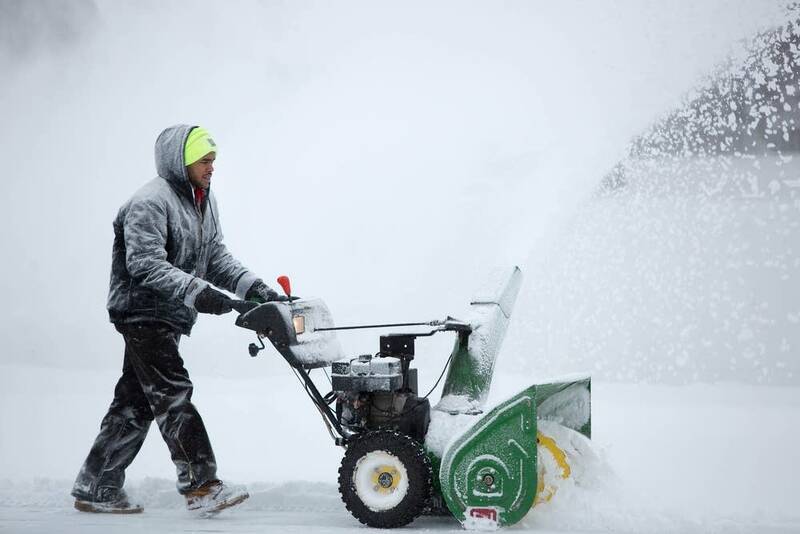 Kennedy said using contractors ensures that the snow and ice can be cleared within a 72-hour window. He said the cost to the city is about the same as using city employees for the work. William Lager is a digital producer for MPR News.